You know the kind of neighbors that keep an eye on your place while you're out of town or ask to borrow some sugar? Well, I don't have those types of neighbors. Friday night my ear drums were violated as I was yet again forced to listen to my neighbor's sexual escapades. There's nothing worse than having your peaceful silence broken by the grunts, groans and squeaks from next door. I don't know if there's even a proper way to voice a complaint. I mean, is it their fault the walls are thin? Do I send an email to the property manager and form a "noise complaint"? Knock on their door or leave a passive-aggresive note lol? When I lived in Chicago (ground floor apt) the neighbors above me were next level obnoxious with their noise. I swear they made a habit of moving around every piece of furniture they owned at odd hours of the night. Instead of voicing a complaint to the landlord or speaking to them in person (they barely spoke English), I took matters into my own hands - - literally grabbing a broom and proceeding to bang on the ceiling. I swear this did the trick lol. Apartment living can be treacherous at times so it's nice to find others that feel my pain. 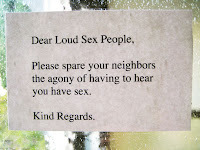 I came across a great article on Apartment Therapy offering tips on how to combat loud neighbors. 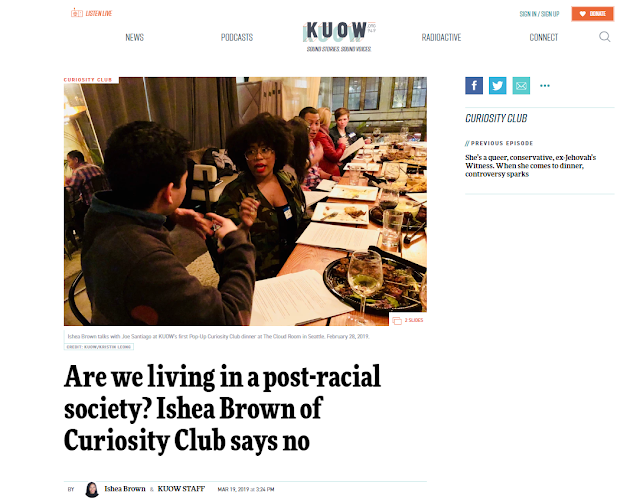 Better than the advice in the article were the slew of hilarious reader comments. Have you ever had to deal with loud neighbors? Better yet, have YOU ever been the loud neighbor?